The Lower East Side restaurant & lounge, Hotel Chantelle, has put a new twist on a Sunday feast. 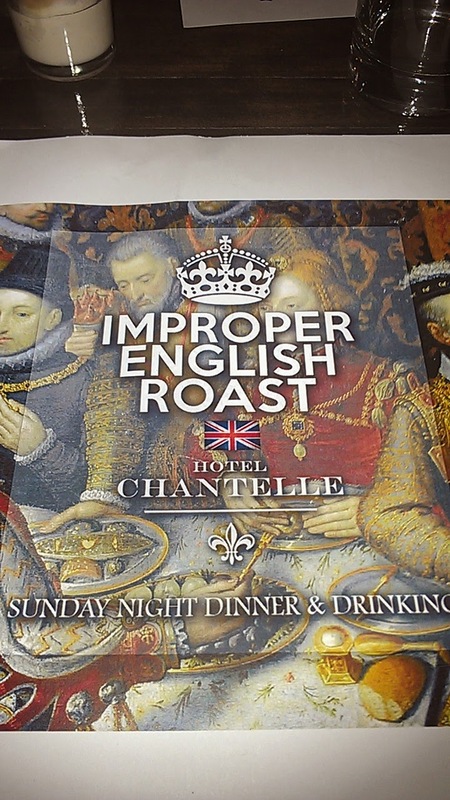 On Sunday, March 9th, this hotspot started its “Improper English Roast”, an Across the Pond inspired menu of English favorites along with signature beer parings carefully curated by their beer sommelier Joanna Carpenter. …which was aptly titled The Roast. No need for pretention because the dish spoke volumes without uttering a word. 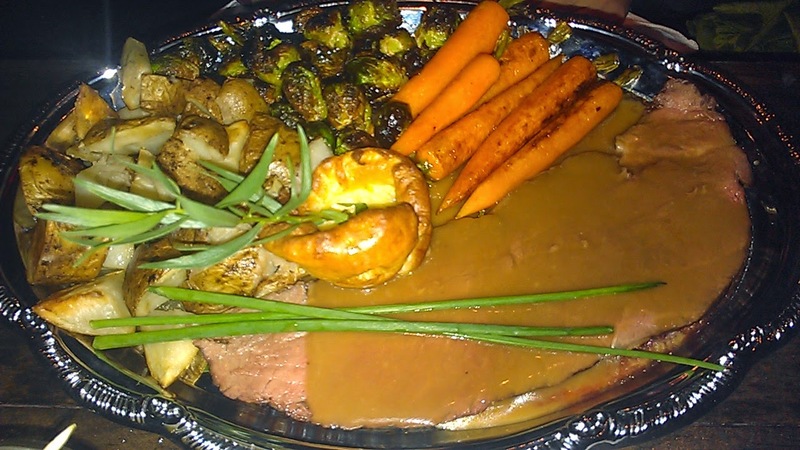 This slow-roasted 16oz thick cut English roast with classic Yorkshire gravy, roasted carrots potatoes and brussels sprouts was juicy, sweet and rich without being gaudy. The veggies were brown and smoky and brushed with a flavorful olive oil that really added a ton (and not in the form of calories). Simple in concept yet subtly complex – delightful! 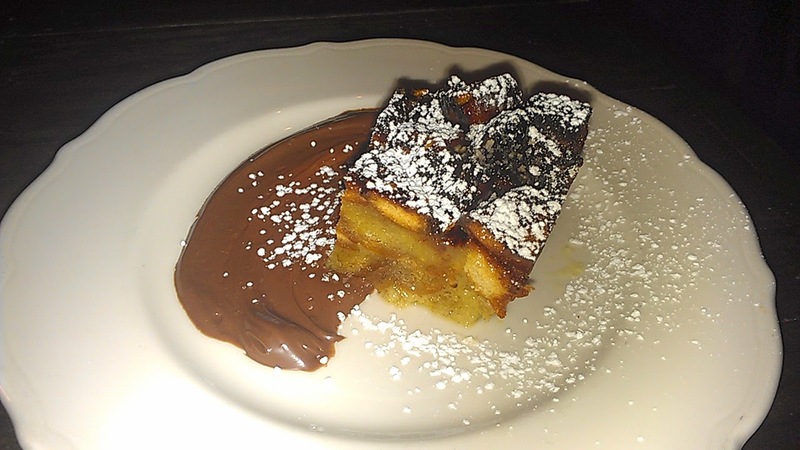 The bourbon bread pudding, although tasty, just could not hold a candle when compared to The Roast. Instead I opted for an after dinner cocktail – the Skin and Bones ($13) – a concoction of Veev Acai, strawberry, balsamic vinegar reduction, lime and agave. 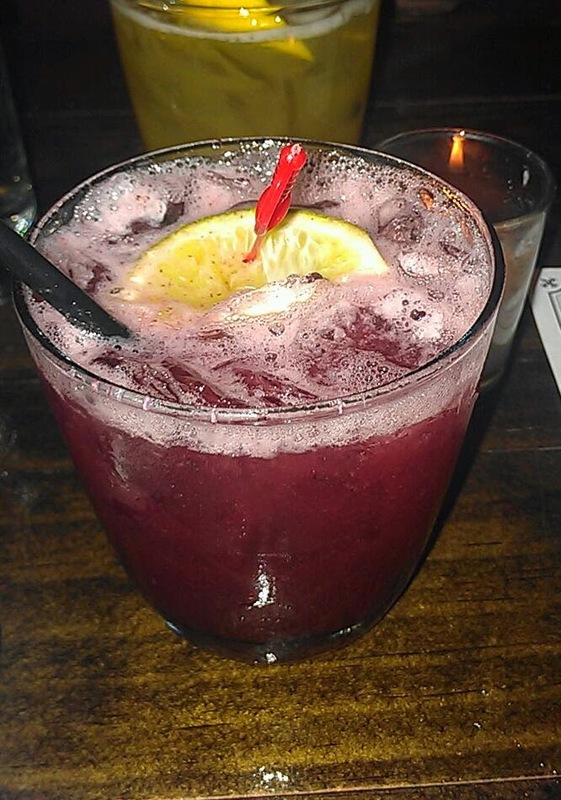 This drink is deemed the “low calorie” option on the cocktail list, but it still tasted super sweet thanks to the naturally sweet flavor in the ultra-trendy Veev Acai. A great option for having my cake and drinking too! I’d always known Hotel Chantelle for being a cool kids nightspot, but it definitely surprised me that it could be a delicious dinner option as well. And at $35 for a full meal, it fills you up without breaking the bank (because we all know that bank was emptied the night before).